The Prettiest Lil' Diecut Witch Ever. 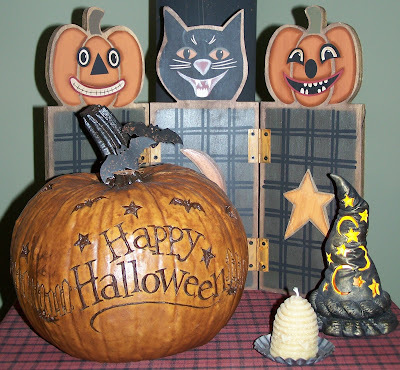 Hallow E'en & the Bat. Bats have long been associated with Halloween, but the connection is by far less ominous than some would suspect. In Halloween's ancient origins, people would gather together around giant bonfires to ward off evil spirits. Attracted to the warmth and bright light of these fires were many small flying insects, natural food for hungry bats. 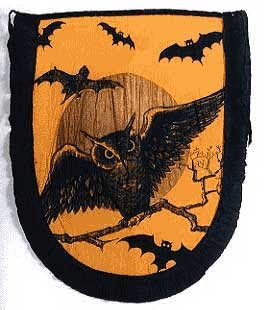 People saw the bats flickering in and out of the firelight during the festivals and they became a feature of Halloween lore. 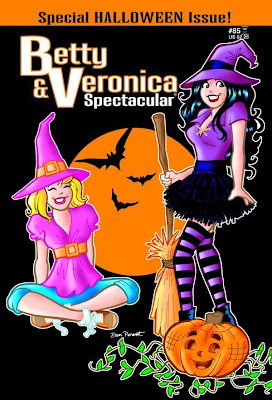 A Betty & Veronica Hallow E'en. 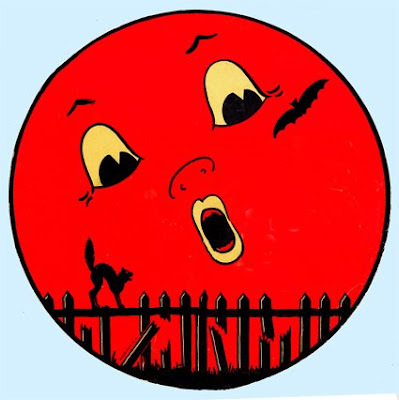 For the uninitiated, the Dennison Manufacturing Company is just about synonymous with Halloween. 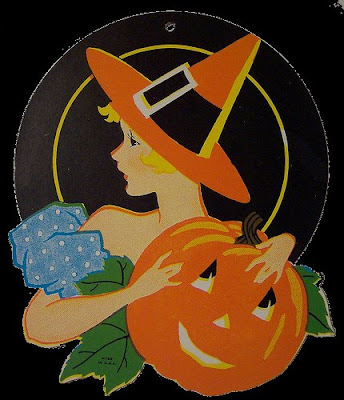 Right at the start of the 1900s, Dennison was on board with the burgeoning popularity of the October holiday. 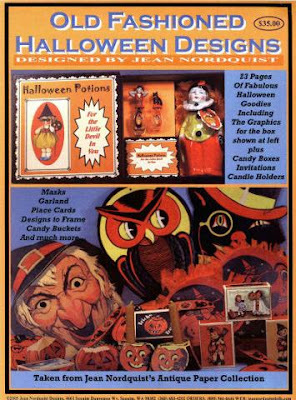 It manufactured Halloween greeting cards and decorations that were used at Halloween parties that were held with increasing frequency across the United States. 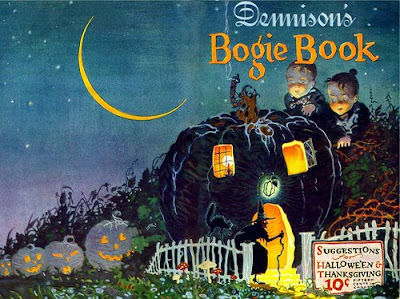 Then in 1909, to help promote sales and teach customers how to display their decorations and maximize their spooky fun, Dennison published its first Bogie Book ("bogie" was a name for mischevious Halloween spirits). The Bogie Book was a hit from the start, and (excepting for a gap of three years, when it resurfaced in 1912) was pubished annually from then on, with a few interruptions, right through the mid-1930s. 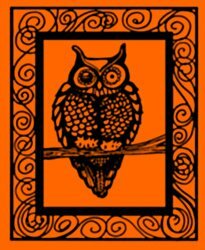 After that date, the title and size changed (it was renamed, variously, "The Party Book," "Parties," "Hallowe'en Suggestions," "The Halloween Book," and "Hallowe'en Parties"), but mostly everything else stayed the same. 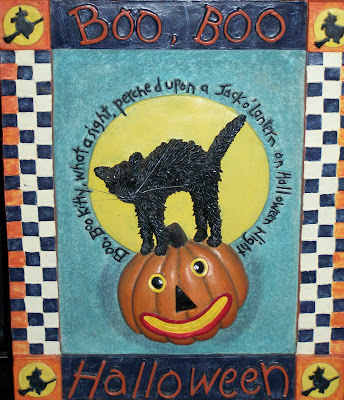 What's wonderful about the Bogie Books is they provide a historic record that not only helps to date antique and vintage Halloween ephemera, but they illustrate how these decorations were to be used. And if one scopes the photographic record for Halloween party images (which are rather scarce if you're scoping near the beginning of the 20th century), one can clearly see that celebrants eagerly adopted Dennison's suggestions. Many photos are exact or near-exact representations of the display suggestions Dennison offered for table settings, nut cups, chandelier and ceiling festooning, and costumes (which were not infrequently made out of crepe paper). 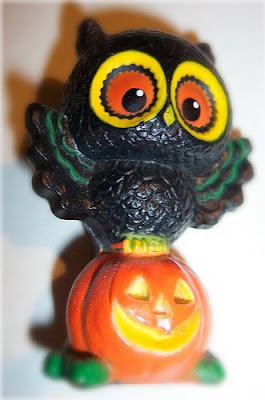 These slim volumes now serve as guides for collectors of antique and vintage Halloween decorations, but they have also become highly sought-after collector's items themselves. A 1920s edition in good conditon can run between $100-$200, and copies from the teens (or the extremely rare 1909 edition) can blow a hole in your wallet the size of cannonfire. If owning an original is not of interest, but the images and information are, some folks have reproduced them. 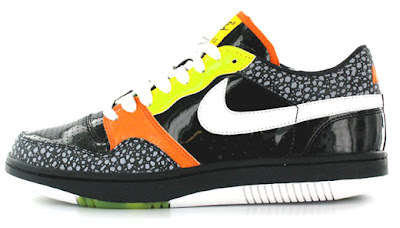 They pop up on various Web sites and on eBay, from time to time. What's interesting when one looks at the costume offerings from the first quarter of the 20th century is that the bulk seem to be festive or, at most, have only the most distant shadows of spookiness. There's an absolute dearth of gore and terror, or even eerieness. Many of the costume suggestions for females mimic the hemlines and silhouettes of the era, so around 1915 a female party-goer inherits the lampshade skirt and in the 1920s female costumes get more long, lean and columnar. Looking at the costume illustrations in the Bogie Books one is amazed that many of these orange-and-black confections were composed of crepe paper. 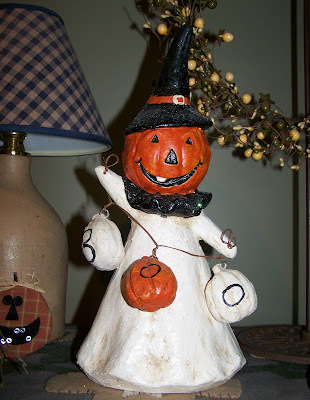 Most early costumes seem to be more like fashion dresses adapted for Halloween. A spider at the hip, in place of a rhinestone ornament. A bat at the bustline, instead of a foliate design. 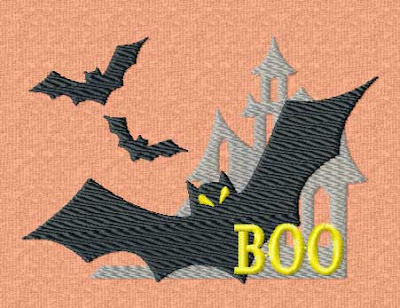 Jack o' Lanterns at the hemline, instead of some beaded pattern. Some costumes were a bit more allegorical, with the party-goer adorned with appropriate details. For example, a "spider girl" might have her skirt decorated with a web pattern and a "cat girl" might have hers swagged with the arching curves of spooked black cats. There were some "person" costumes, here and there. 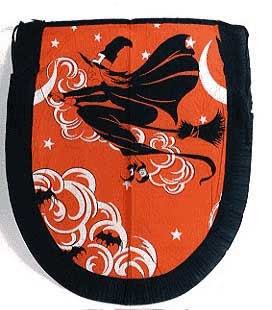 The witch was a perennial favorite, as was the Perriot. From a vintage clothing perspective, Bogie Books are also valuable. 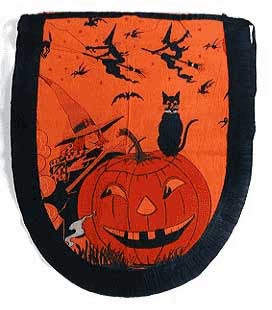 Most early Halloween costume examples have not survived, because paper costumes were not likely to make it to another season, and throughout the decades, most people have thrown surviving examples in the trash. 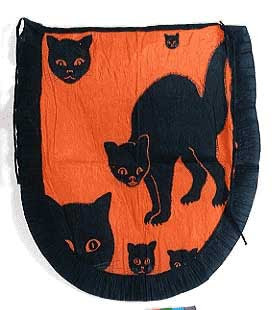 Lastly, of the examples that do survive, many are in delicate condition, because crepe paper is so friable. So for those who have an interest in early Halloween costumes, these Dennison Bogie Books provide wonderful, plentiful examples. Crepe Hallow E'en Aprons...never heard of 'em. What's a toad got to do with anything? 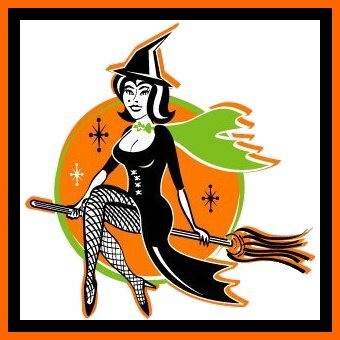 *Many of us are familiar with the age old belief that witches were comonly thought to have warts because they handled toads. Of course we know that toads do not cause warts to appear. To have a wart was once a sure mark of a witch. Toads play many roles in witchcraft as do cats, serving as familiars as well as components to spells and minions of the devil. *Toads were perfect as familiars. Thanks to the two tiny horns borne on his forehead, a toad was recognizable as a demon, and witches took infinite care of him. They baptized their toads, dressed them in black velvet, put little bells on their paws, and made them dance. *The breath of toads, and sometimes even being glanced upon by a toad, was also considered dangerous. The breath of a toad was believed to infect a person wherever it touched. Another common superstition existed stating those whom a toad regarded fixedly would be sized by spasms, palpitations, swoons, and convulsions. *Toads secrete a thick, white, hallucinogenic substance from skin glands when they are injured or provoked. The secretion acts like digitalis in biological action, and was believed to have been used by witches for various nefarious purposes. Toad excrement was theoretically used as an ingredient in flying poitions by Basque witches. In Artois, a flying potion made from toads was created when the witch put consecrated bread and wine into a pot full of toads. When the toads had devoured the sacrament, they were killed and burned. Then the ashes of the toads were mixed with the powdered bones of dead Christians, the blood of children, herbs, and the recipe was completed with ‘other things'. Mmmm...scrumptious. 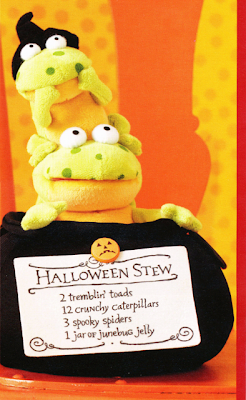 Unfortunate toads could be decapitated, skinned, and thrown into cauldrons along with other strange ingredients. 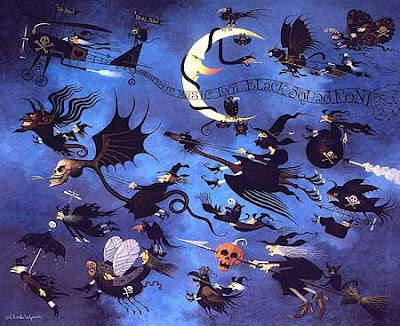 A lotion of sow-thistle sap and toads spittle was believed to make a witch invisible, and brandy embued with burned toad ashes was believed to be an effective cure for drunkenness. If a toad was baptized with an enemy’s name then tortured to death, the victim supposedly suffered the same fate. Nice. *Sometimes the Devil would appear to witches as a toad. In these instances, witches would kiss the toad’s mouth in an act of homage. Satan was believed to have presided at Sabbats in the form of a he-goat, a black cat, a raven or crow, or a feathered toad. In their worship of the Devil, witches were said to have mangled, torn apart, and bitten toads. By stamping his foot, the Devil could send all toads into the earth. Yipee-yi-yo-ki-yay. 2.) She has cats or toads as companions or familiars. 4.) She floats when you tie her up and throw her in the river. 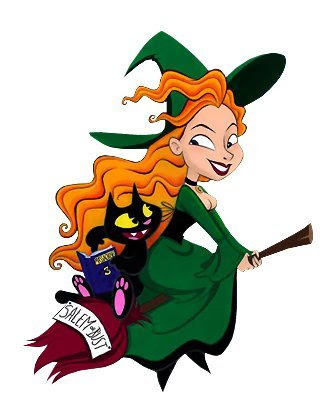 What do you think of when you think of Salem?